I have been in the hair industry for over two decades. My talents extending to avant-garde styles and classic cuts and colours. 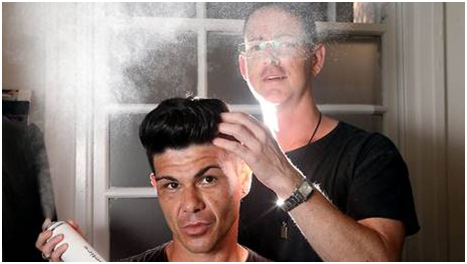 I moved to Sydney in 1991 to begin my hairdressing career. I was educated by Peter Wilson, the senior Pivot Point educator. I also have formal qualifications in Fashion, Costume and Millinery. I am highly regarded amongst clients and industry professionals for creating beautiful hair styling and hair colouring, as well as specialised photographic fashion shoots for magazines. I also put my work on display as hair stylist on several fashion shows – including the White House School Fashion end of year fashion Parade; advertising campaigns – including a Jigsaw Spring Summer campaign; and TV shows – including the hugely successful Network Seven talent show ‘X Factor’. I was awarded Hairdresser of the Year in 1997 and 1998 in the National and State championships. I was awarded first prize in the International Hair Stylist National Hairdressing Awards QLD, and National Finalist at the Australian Hair Expo International Cutting Competition. I believe hair is a way a person can express their individuality, as well as make a statement in ‘wearable fashion’. Using quality products and offering sound product knowledge, hair should be wearable and easy to maintain. I deliver great customer service and client satisfaction. In April 2012, I created a new business – AlexPFJackson hair and makeup – in Darlinghurst. 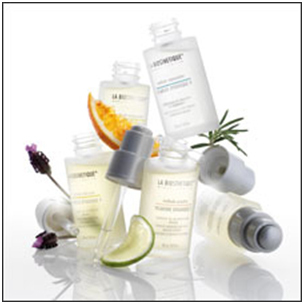 Using La Biosthetique, products for hair and body. I’m a certified La Biosthetique scalp specialist, so this means I am able to determine clients scalp needs. I will introduce clients to a scalp test to address any scalp concerns you may be experiencing.